This Summers longest running transfer saga has finally came to an end as Tottenham Hotspur and Wales star Gareth Bale finally completed his world record £85 million pounds move to Real Madrid, signing a six year contract reported to be worth £300,000 per week. 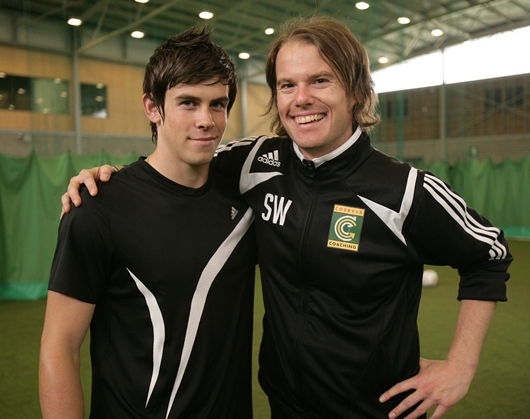 Back in June 2007, the young Welsh wing wonder travelled to Coventry to be put through his paces by Coerver® UK Director, Scott Wright who recalls working with the world’s most expensive player. “I was contacted by our partner adidas to author a pre-season training guide that was to be published in the up-coming pre-season addition of FourFourTwo magazine. The theme for the training guide was to use the attributes of the new F50 & Predator boots and to design a series of practical training drills that could be used by coaches and players to develop each attribute”. “To bring the drills to life, I would be working with two adidas sponsored professional players, who were contracted to wear each respective boot. The first player was Micah Richards, who was to be the player representing the Predator boots. At the time he was only 19 years old but had already established himself in the Manchester City first team and he was really making a name for himself in the game, in fact I remember only the month after there being a reported bid for him from Chelsea in excess of £20 million pounds. At the time he was probably regarded as the top young talent in the country and had been touted as a future England captain”. “The other player I was to be working with who would represent the F50 boots was a young welsh player called Gareth Bale who had just completed his £10 million pound transfer from Southampton to Tottenham Hotspur (see below image). I must admit, I did not know a lot about Gareth, who was 17 years old at the time, before working with him apart from him being a young player with a lot of potential. I certainly knew a lot about him by the end and it was clear to me that he had everything needed to make it to the very top of the game”. “He was six feet tall, athletic, quick, had excellent technical ability using both feet but the thing that impressed me most was his work ethic and how polite he was. In fact his parents had came with him that day, it was his first campaign as an adidas sponsored player, and you could tell that they were a very close family and were very supportive of their son’s career which I think has been well documented during his rise to the top”. “I worked Gareth incredibly hard that day, 1-2-1 work can be very demanding both physically and mentally but he just got on with everything that was asked of him and transferred the instruction I was giving him quickly into near perfect actions, first time. We worked on various Coerver topics throughout the day including warm-up movements, ball mastery, speed work, 1 v 1 moves and dribbling technique. We finished off the day with free kick technique which provided me with a story I still tell young players to this day”. “We set up a full size goal with a 4 mannequin wall positioned in front (see above image). After working on the actual striking technique, I set Gareth a challenge where he would strike 10 free kicks from 25 yards out but he would have to hit the part of the goal that I called. I started with a call of “Top right”, Gareth quickly approached the ball and made contact with such power that it sounded like a canon ball flying through the air, the ball also swerved over the mannequins and into the top corner as I had instructed”. “He then turned to me with a smile ready to take the next free kick. Was the first strike lucky or was this something he could repeat on demand, I was about to see this first hand. I worked my way through 9 further calls, “bottom right”, “top left”, “bottom right” and I have to admit to my surprise he hit every one as powerfully and as accurately as the first. In fact, by the end of the ten free kicks, such was the power he had used, the screws on the frame of the goal had been loosened to such an extent that the goal looked like it was about to collapse! (see the below image)”. “After we had finished I asked Gareth what a normal training day would look like for him. He went on to explain that he would take part in his normal training session in the morning but would work on his own with the ball every afternoon for at least an hour and in his own words said “You can never be good enough with the ball”. At this point it was clear in my mind that he had the potential to go to the very top of the game. This type of work ethic and mindset to be the best that you can be, in tandem with the obvious attributes that he had, could be the difference between him being a good player or a great player and this has proved to be the case”. “We even had time for a game of heads and volleys at the end with Gareth and I against Micah Richards who was unbelievable in goal, I think we only scored once past him!. I have followed Gareth’s career ever since and after a challenging initial few year at Spurs, he has really flourished into the player that I thought might be possible six years previous. I particularly remember the two performances against Inter Milan in the Champions League that really announced him on the world stage and he has progressed every year since (see above image). To see him now as the most expensive player on the planet and playing for Real Madrid is fantastic and I couldn’t think of a better role model for all young players here in the UK to follow”. “The scary thing is that he is only 24 years old and if he can develop half as much over the next six years as he has over the last six years, he is going to be a true global megastar of the game and that is even more special as he is British and can hopefully inspire a whole generation of players here in the UK which I am sure he has already started to do”. “Who would have thought that the 17 year old boy who arrived in Coventry that afternoon would be the world’s most expensive player, playing for the biggest club in the world just six years later (see below image). That shows to me that with hard work, determination and dedication, anything is possible”. 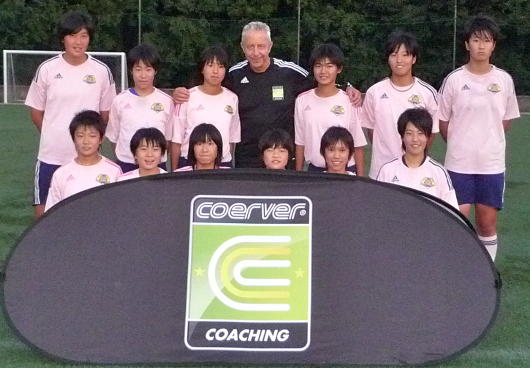 Coerver® Coaching Co-Founder, Alf Galustian has recently worked with the National Women’s Coaches and Players at the Japan Football Association (JFA) Academy which is located in Gotemba, Shizuoka prefecture near Mount Fuji. 120 Girls under 17 years old have been especially selected from across the country to attend the JFA high performance academy (see below image). Japan are the current FIFA Womens World Cup Champions and are known for their highly technical style of play and will be one of the favourites to win the U17 Womens World Cup in Costa Rica in 2014 with the squad being made up of players from the academy. The girls live and study at the academy and have daily training sessions with the JFA National Coaching Staff. Last week, Alf Galustian conducted a training session for the female players at the request of the JFA Vice-President, Mr.Tashima Kozo. Tashima san asked Alfred to work with both the coaches and players at the Academy. 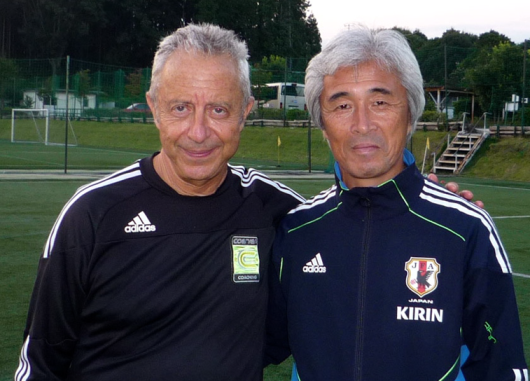 Alfred has conducted several coaching education courses for JFA National Training staff in the past, but this was the first featuring the Women’s elite players and coaches which included Japanese FA Women’s Director of Football, Ueda-san (see below image with Alf Galustian), Japan U-19 Women’s National Team Head Coach, Hiroshi Yoshida and JFA Women’s Committee Chief Eiji Ueda. Japan FA Women’s Director of Football Ueda-san commented that he was very impressed with Alf’s training session and that he will recommend more sessions in the future. Coerver Coaching is extremely proud that 12 of the academy players are Coerver Coaching school graduates, some already playing for the U-16 Women National team squads (see the below image – session action). 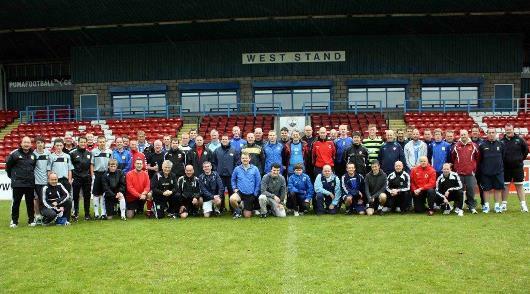 We are delighted to announce that the Coerver® Coaching Youth Diploma course will take place at Livingston FC on 26th-27th October 2013, presented by Coerver® Coaching Co-Founder Alf Galustian and Scotland Director Gordon Craig. 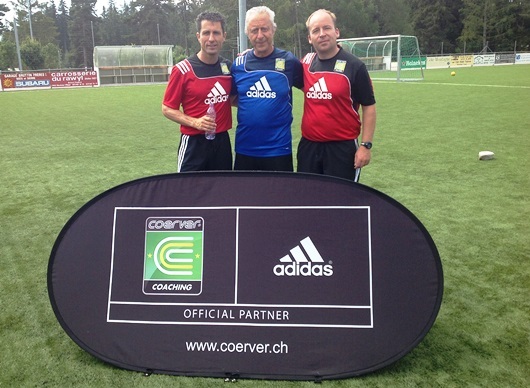 (Gordon and Alf pictured below with Scottish Legend John Collins at The Coerver® Advanced Skills Course in Switzerland). The Coerver® Coaching Youth Diploma has been developed from 29 years of knowledge and work with the leading federations, clubs, managers and star names in International Football. Coerver® Coaching has a 20 year history in Scotland and we are very excited to have Alfred deliver the Youth Diploma Course here this month. The purpose of the Coerver® Coaching Youth Diploma is to give attendees, whether you are a professional academy coach, junior coach, teacher or parent a greater understanding of how to plan & deliver more effective coaching sessions (see below image of Coerver® Scotland Youth Diploma). You can also book your place by calling 0844 8080 442.